General admission: $5 prepayment and $10 at the door. 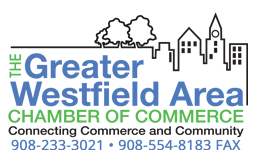 Join us on Tuesday, August 16th for networking and a light breakfast at Savory Spice Shop in downtown Westfield. You will have the opportunity to introduce yourself to the group. Nonmembers are welcome. Members: free but please RSVP. General admission: $5 prepayment and $10 at the door.